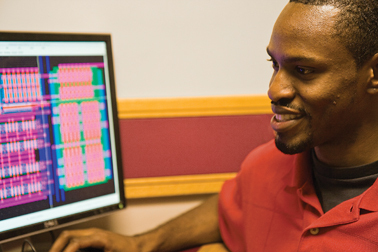 Iowa State University and the College of Engineering offer several options for financial aid/awards for U.S. citizens who are members of underrepresented groups, including women, African Americans, Native Americans, and Hispanics. A grant program funded jointly by the National Science Foundation and the Iowa Regent institutions, including Iowa State University, AGEP provides a $25,000 fellowship for five years plus tuition and fees as well as summer research opportunities for minority undergraduates. A listing of fellowship and award opportunities based on criteria such as discipline, who is giving the fellowship or who the award is intended for. Diane Brandt, a 1961 ISU alumna, established an endowed fund in 2010 to serve many generations of ISU women in science, engineering, math and other fields in which women have traditionally been underrepresented. The fellowship honors her academic achievement, community leadership, state service, and life achievements. It is another valuable scholarship created by women, for women. The George Washington Carver Doctoral Fellowship Program is one of the most prestigious fellowships Iowa State University offers and is a three-year appointment offering a $25,000 annual stipend plus tuition. Applicants must be admitted as full into a PhD program and be nominated by their program or department. Through your academic program of study, GMAP offers financial assistance to U.S. citizens who are members of ethnic groups traditionally underrepresented in American higher education. Funding is available to departments or programs that wish to offer graduate assistantships in the form of teaching, research, or administrative appointments. There is no required paperwork for you to complete, as the request must come from the academic program or administrative office where you will hold your assistantship. GMAP pays one half of tuition for full or provisionally admitted master’s students. Applicants should visit the Graduate College Web site for tuition information. The Lesbian Gay Bisexual Transgender Student Services (LGBTSS) is a safe place for all members of the university community to explore aspects of sexual orientation and gender identity/expression in an open and non-judgmental atmosphere. LGBTSS is committed to providing information and education that enhances the educational experience and overall quality of student life on the Iowa State University campus. GEM is a national consortium of universities and companies that offers a program of paid summer internships and graduate financial assistance.